Reilly/Trzetrzelews; Sercio/Trzetrzelews; Trzetrzelewska/Whit. Very Good. In very good packaging. 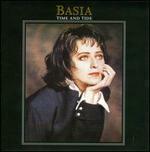 Basia-Butterflies by Basia. Very good. A well-cared-for CD that has been listened to, but remains in great condition and plays perfectly. The cardboard CD sleeve shows limited signs of wear, as may the cover art, liner notes and inclusions. Tracking number issued for every order. 100% satisfaction guaranteed. New. 016351546029 We cannot ship expedited. Expedited orders will be auto cancelled. CD.